• Relationship management – Adequacy of personal competence to effectively perform Account Relationship Management tasks to ensure the customer relations are maintained well to reduce complaints and also retain existing customers by management of customer expectations. Develop strategies for maintaining and further penetrating existing client base and execute the strategy through calls, visits, needs assessment, customer qualification and follow-up meetings to maintain, enhance and expand customer relationships (20%). • At least 6 years relevant Corporate Sales and Relationship Management experience in a Banking or Financial institution environment. • Manage the smooth day-to-day running of the relevant sites/contracts to ensure profitability. • Posting Sheets to be signed off daily. Ensure security officers are posted on sites according to the customer agreements/contracts. • The Project Manager must ensure that the Site Inventory is used during any formal handing & taking over shifts on all sites. • The Project Manager must ensure that site inspections are done on every site for all staff to ensure all are briefed, correctly dressed/equipped and ready for the shift. • Ensure that pay queries are attended to and that correct the payments to security officers. • Formal Customer Meetings to be held on a monthly basis or as per written agreement. • Minutes of the Meetings to be forwarded to the customer within 7 days. • Ensure that Site Seniors are included in the meeting and that the relevant discussions at the meetings are translated to all the Security Officers. • Customer complaints to be resolved within 2 working days. • Ensure that site visits are conducted according to a pre-determined visit plan. Ensure Post Descriptions, emergency plans, registers and files are in place according to Customer and Company requirements. • Post Descriptions must be reviewed annually. • Post Descriptions must be approved by the customer annually. • Ensure that the correct registers and files are placed on site and maintained. Ensure that all Security Officers are inducted and properly trained to meet the requirements of the position/ post. • New employee on a new site must be tested within 2 weeks to confirm they are familiar with all procedures. • Determine training needs and where necessary recommend training to be conducted to meet customer requirements. • Ensure that monthly Site Knowledge Tests are written by all Security Officers on site. • Ensure that other on-site training is conducted as necessary to meet customer requirements. • Ensure that quality audits are conducted in accordance to the audit plan. • Ensure that Health and Safety Risk Assessments are conducted in accordance to the Company Policy. • Complete documentation regarding audits and risk assessments as required. Ensure all Company assets are accounted for, properly handled safeguarded and maintained. • Ensure that monthly equipment checks/ audits are conducted to ensure it is in good working order. • Monthly reports to be forwarded to the relevant logistics/ Operation Clerk. • Ensure that vehicles are inspected on a weekly basis. • Ensure that all defects are repaired immediately. • The Project Manager is responsible and must ensure strict discipline on his sites. • Company Disciplinary Code may be required from a Contract Manager. • The Project Manager must ensure that the Monthly and Weekly reports are completed and forwarded to the respective managers as required. • Ensure that all sites comply and implement the company Health and Safety Policy. • Distribute weekly Tool Box talks to all sites. • Ensure that Health and Safety of all employees remain a priority. • The Project Manager must ensure that all incidents are reported and properly investigated. • The Project Manager will be required to follow-up on invoices and statements to ensure customers pay the appropriate amount on time. • At least 5 years of experience on a role. • Ensuring legal compliance with all applicable laws and regulations including personally attending to matters such as CMA. • Manage litigation matters including coordination with law firms, attending court hearing, drafting notices, rejoinders, counter claims, and maintaining case files. • Maintaining a calendar of compliance obligations. • Ensuring each area of compliance is covered by a failsafe process. • Maintaining a calendar of legal cases, events and dates. • Ensuring the company is proactively prepared for all legal events and matters. • Keeping regular communication with lawyers to ensure the company is getting the required service from the lawyers on a times and effective basis. • Prepare and send legal notices to defaulting debtors according to an escalating plan including filing a suit and bringing it to justice. • Defending suits filed against the Company, either directly or with the help of lawyers, depending on the substance of the case. • Assisting in the drafting of legal documents, notices, suits, defence please except in cases related to labour matters. • Report on the status of legal cases on a monthly basis. • Has Experience dealing with CMA matters. • Minimum 5 years’ relevant experience. Line Manages Finance and Administration Coordinator, IT, Logistics & Procurement Coordinator Expected travel Expected travel to regional offices. Time off lieu will be given for any travel required over weekends. 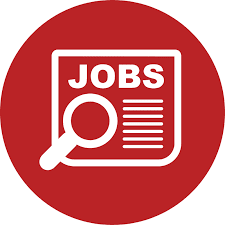 – This Senior Finance and Administration Manager role (maternity cover) will be central in overseeing and leading the strengthening of all aspects of Restless Development Tanzania’s finance and operations, ensuring that the Hub has world class systems, procedures, controls and people in place. The Senior Finance and Administration Manager will also play a key leadership role in ensuring that Restless Development Tanzania is working to an ambitious, focussed, business model. – The Senior Finance and Administration Manager will also work directly with the Hub Director, the Head of Hub, the Senior Programmes Manager and Compliance Coordinator as a key member of Restless Development Tanzania’s Leadership Team. – Our candidate will have significant skills and experience, but might not necessarily be an established Senior Finance and Administration Manager. You are likely to be a natural leader, and you will enjoy strengthening systems and processes and building teams of people around you. You might be looking to take on additional responsibility, or to develop experience in leading finance and operations in a challenging setting.  Ensure organisational compliance with Tanzania finance regulations as well as Restless Development financial policies and procedures.  Lead in the development of financial plans, strategic budgets, operational budgets and quarterly reforecasts ensuring participation of relevant staff.  Contribute to strategy and direction as part of the Leadership Team and member of the global finance team.  Identify key areas of risk to the country programme and communicate these to Leadership Team and International as appropriate. Manage and address risk as required by the Leadership Team.  Oversee preparation of financial statements and audit files for annual external audits and donor audits.  Oversee the procurement function to ensure that procurement processes are followed and streamlined and that the Hub secures value for money.  Oversee the logistics function to ensure that the logistics teams across Tanzania are able to meet the needs of Programmes teams, operate in the most efficient way, and provide effective oversight of all Restless Development assets.  Maintain the financial integrity of Restless Development’s operations in Tanzania, ensuring full compliance with policies & procedures, particularly around cash, advances, banking and assets.  Assess, develop and build the capacity of the finance and operations team through training and coaching. Develop training and tools for non-finance staff to strengthen compliance with policies and procedures and improve budget and financial management across the organisation.  Other duties as required. We are proud to commit to a single transparent global salary scale that is published on our website and ensures a fair and comparable system of pay across all global locations, taking into account statutory benefits. At Restless Development, we’re proud that the strength and integrity of our Values has been recognised by staff, beneficiaries, donors and others who we work with. Beyond this, we have a culture of recognising and celebrating both our Values and our global achievements with monthly Values Champions and an annual Values Day.  24 days annual leave pro rata (in addition to public holidays and with an extra day of annual leave given for each full year of service, up to a maximum of 28 days).  Access to flexible working.  Empowering opportunities to work on significant projects which stretch and inspire staff – allowing them to develop on-the-job.  Training and development opportunities, including supporting our staff to identify mentors both within and outside of the agency. Modest medical insurance is provided for staff and their dependants.  A lump-sum relocation allowance to support you in relocating to your new place of work.  Out of country supplements for the duration of your time working in your new place of work.  First round interviews are expected to be held on Monday 3rd December.  Second round interviews are expected to be held on Monday 10th December.  Ability to build and manage partnerships within programmes Restless Development is an Equal Opportunities employer and welcomes applications from young people and females. We are proud to commit to a transparent salary scale, ensuring a fair and comparable system of pay across all locations. At Restless Development, we’re proud that the strength and integrity of our Values has been recognized by staff, beneficiaries, donors and others who we work with. Beyond this, we have a culture of recognizing and celebrating both our Values and our global achievements with monthly Values Champions and an annual Values Day.  24 days annual leave (in addition to public holidays and with an extra day of annual leave given for each full year of service, up to a maximum of 28 days).  Study leave, maternity and paternity leave allowances.  Quarterly Staff Workshops for all staff to give and receive agency updates, receive training, and socialize. Modest medical insurance is provided for staff and their dependents.  Please send a completed application form to jobstanzania@restlessdevelopment.org by 5pm local time, Tuesday, 20th November 2018. Please note that we do not accept CVs, resumes or covering letters. We know young people have the power to solve the challenges we face in our world, but they are being overlooked and ignored. We are the agency that works with young people so they can lead in solving those challenges. Whether that means supporting communities to end child marriage or prevent HIV, we work with young people to change their lives and the lives of people in their communities. Our programmes are genuinely life-changing, but can’t do any of this without talented, creative individuals at every level of our organisation. Restless Development Tanzania is the go-to agency and thought-leader in youth-led development and community engagement in the country. We have been applying our experience to engage young people and young professionals at all levels of our organization to lead change in Tanzania since 1993. Our unique youth-led approach has been cited best practice and won awards from the Stars Foundation, World Bank, UNAIDS, and most recently the 2014 Resolve Award for Mabinti Tushike Hatamu. You will take leadership of the Tanzania Hub, setting strategic direction, building partnerships and driving performance across all Units in the hub. Working closely with your Head of Hub, you will provide support and oversight to your Leadership Team to ensure financial, programmatic, quality, people and performance functions are implemented to a high standard. The Tanzania Director is also a key member of our Global Leadership Team, made up of Hub Directors, the Senior Leadership Team and the Executive. For more information, please download the Job Description below and send a completed Application Form to jobs@restlessdevelopment.org by Midnight Sunday 9th December 2018. Please note that we do not accept CVs, resumes or covering letters.